from one inch to 100 inches of annual rainfall. 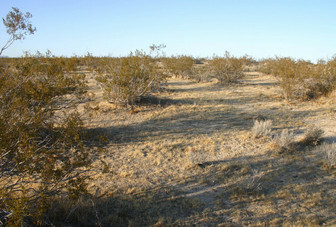 California has one of the most extreme rainfall pattern in North America within the smallest megatransect, from one inch annually in the deserts, to over 100 inches in the northwest redwood forests. Compiled by Craig Dremann, (650) 325-7333, for scientific study of what a large-scale ecological and vegetation photo megatransect could possibly look like, photos copyright by the photographers that are listed on the pages at confluence.com. Photos on this web page are used here with written permission from the Confluence Project. Blue dots trace the route of this megatransect. Near town of Winterhaven, 1-3 inches of annual rainfall. 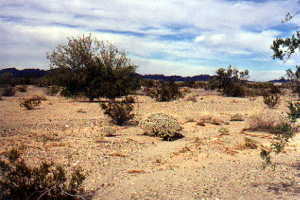 near town of Desert Center. 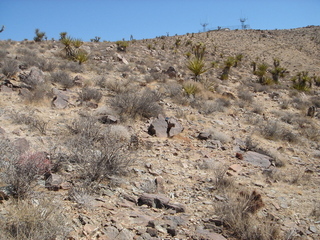 Joshua trees shown are about 4-6 feet tall. 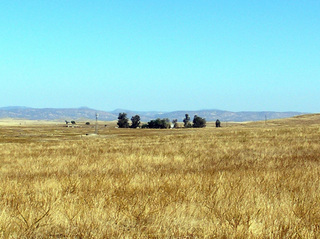 Near town of Porterville, San Joaquin valley, at the foothills of the Sierras. 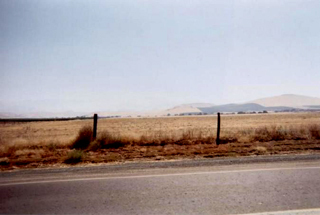 Near town of Madera, San Joaquin valley. 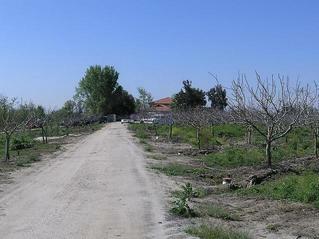 Near town of Linden, San Joaquin valley. Near town of Arbuckle, Sacramento valley. 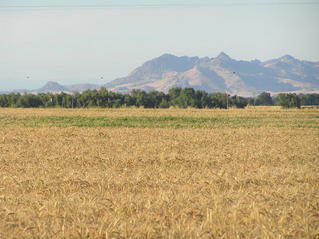 Ancient volcano, Sutter Buttes. 20 inches of annual rainfall. 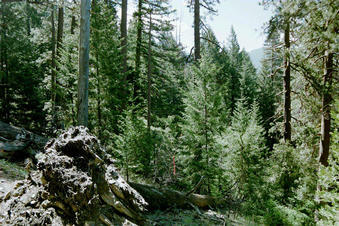 Trinity alps, 6,000 feet elevation. Rainfall now 40 inches or more. 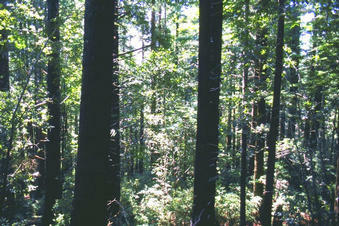 Humboldt county redwood forest, 100+ inches annual rainfall. 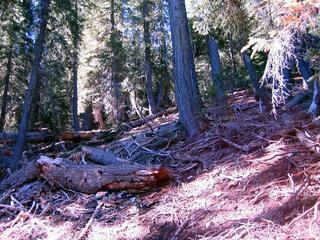 Siskiyou forest, 4,000 feet elevation.